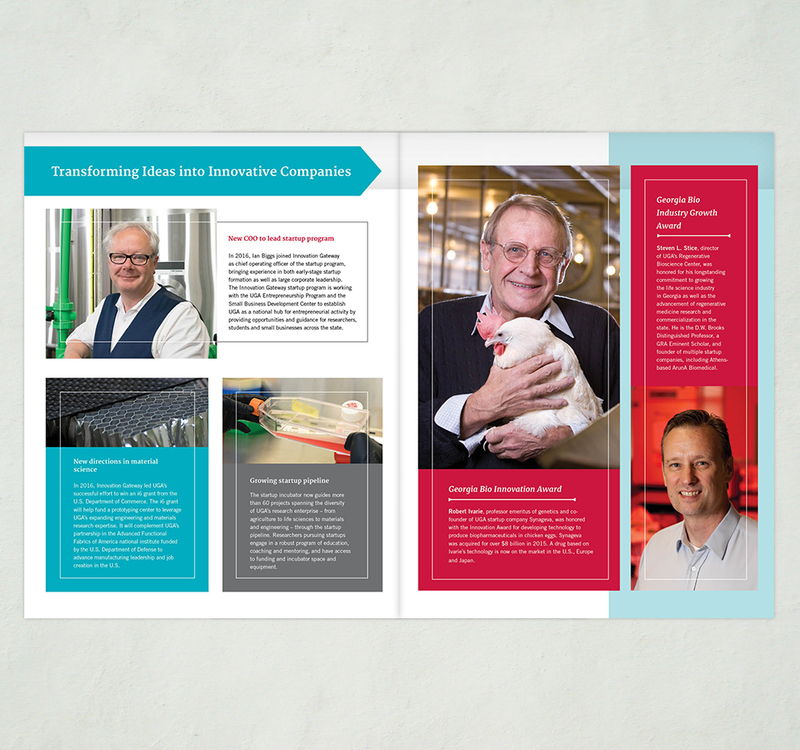 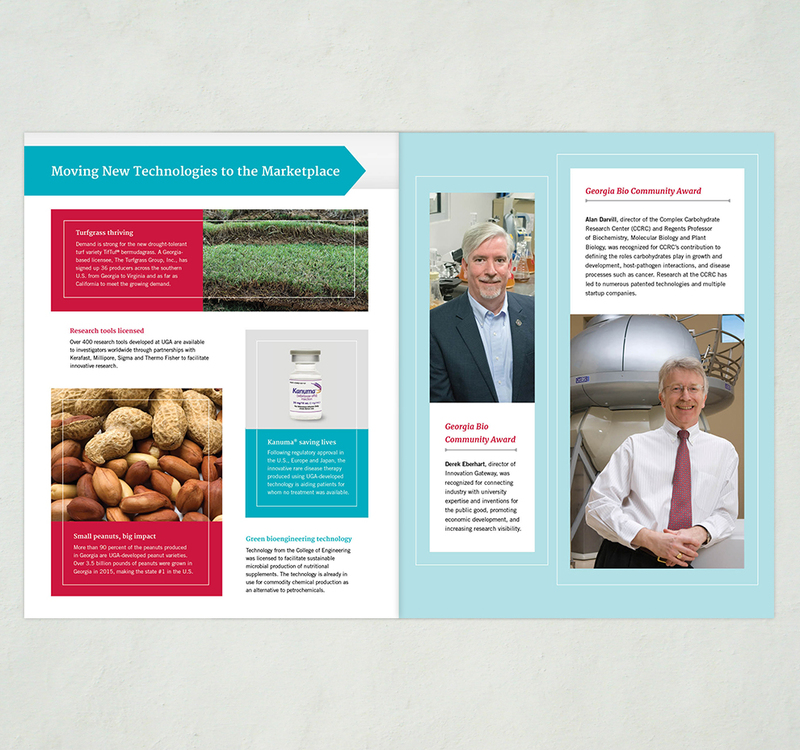 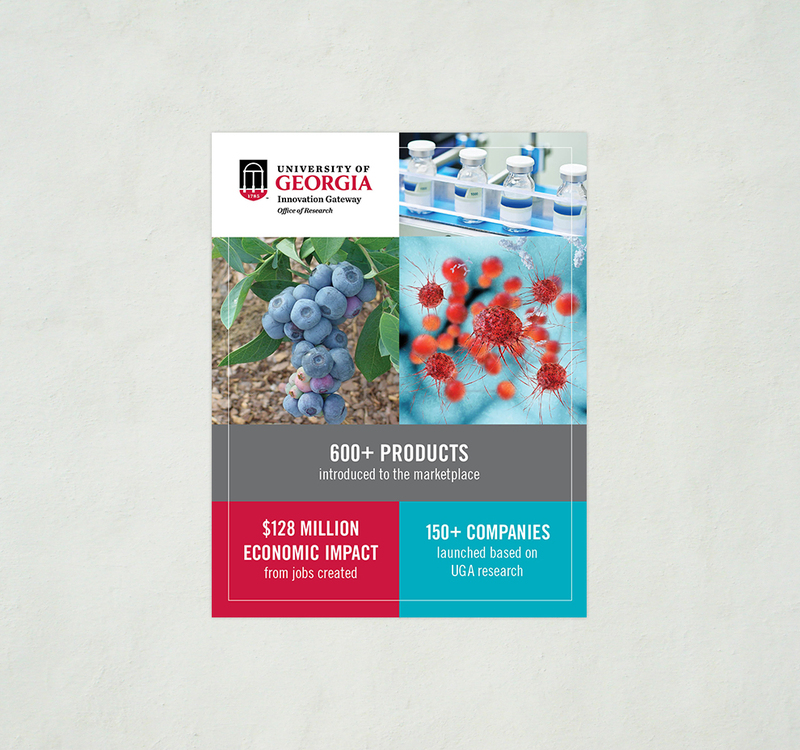 For several years, we have designed the Annual Report for Innovation Gateway using infographics, data and brief stories to tell about the successes of UGA research and the technologies that are licensed for products used throughout the globe. 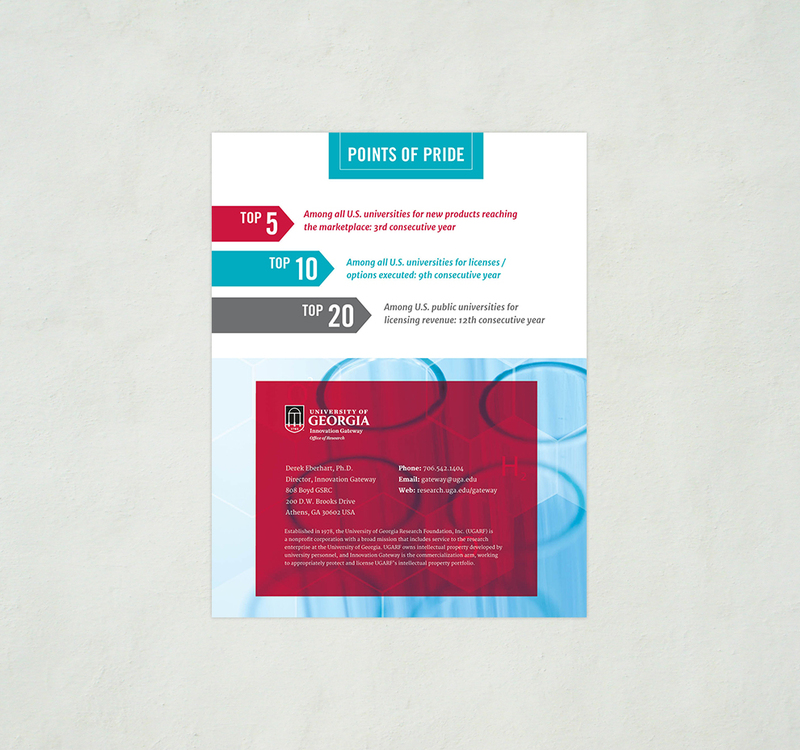 This year we had the opportunity to use the University of Georgia’s new identity standards for this key communications piece. 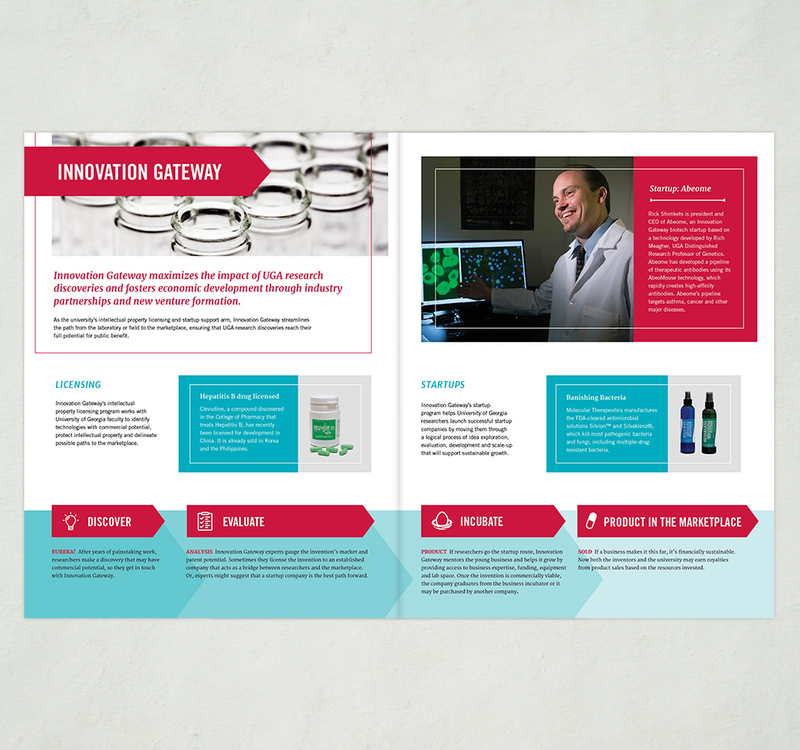 By using the primary and secondary color palettes we were able to maintain a modern approach to their annual report and keep the piece on brand.